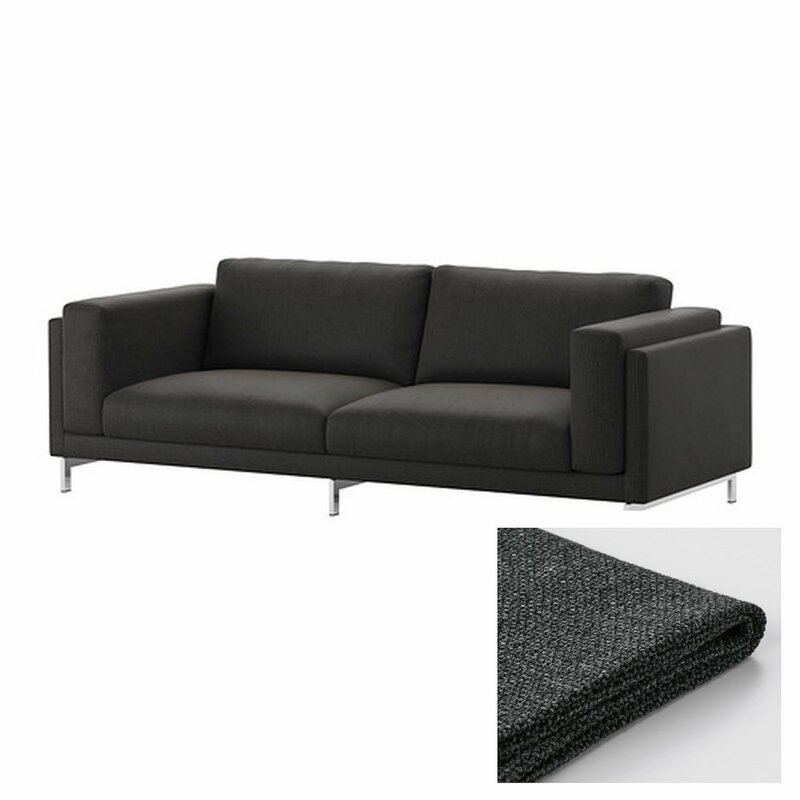 Brand new IKEA NOCKEBY TENO DARK GRAY Tenö Dark Grey slipcover set designed to fit the 3 seat sofa from IKEA of Sweden. This listing is for SLIPCOVERS only, NOT for a sofa. BEAUTIFUL cover! 26 % acrylic, 24 % modacrylic, 18 % viscose/rayon, 13 % polyester, 12 % wool, 7 % cotton. Strong and very durable yarn dyed fabric in two-tone effect, of synthetic fibers, wool and cotton with a textured surface. The fabric withstands 50,000 cycles, it means that the fabric is highly resistant to abrasion. Please visit my store at rock-paper-scissors.ecrater.com to see more great housewares from IKEA and beyond. I am happy to combine postage for multiple purchases (e-mail for combined shipping quote). Please note: This listing is for COVERS only (the sofa is NOT included).